Sophie often sees old Mr Jenkins walking his Labrador puppy, Buttons! In fact, Sophie wishes she could have a dog just like her – even though cheeky Buttons loves running away! Buttons adores the outdoors, and is always racing off, even though she knows she shouldn’t. But one day, Sophie sees Buttons climb out of the window. At first she thinks she’s up to her naughty tricks again. But Buttons isn’t playing around this time. Something at home is very wrong – but how can she let Sophie know? 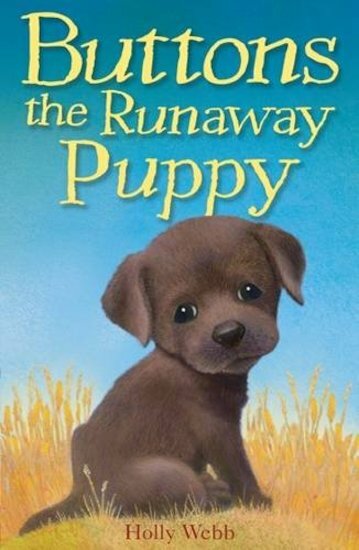 I love all the holly webb puppy books and this is my favourite. This story is very good, but I don’t really want to eat the poor little thing! LOL ive never read this but im rating it 5 stars because the doggy is SOOOOOOOOOOO CUTE! !